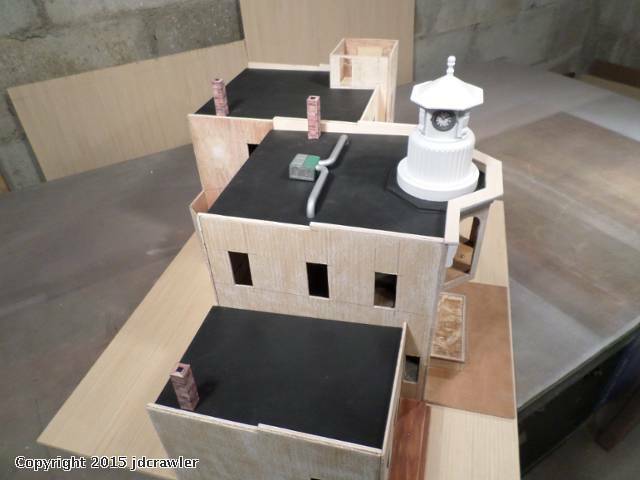 This project will be a court house, a fire department and a police department and has an interesting footprint for the buildings. 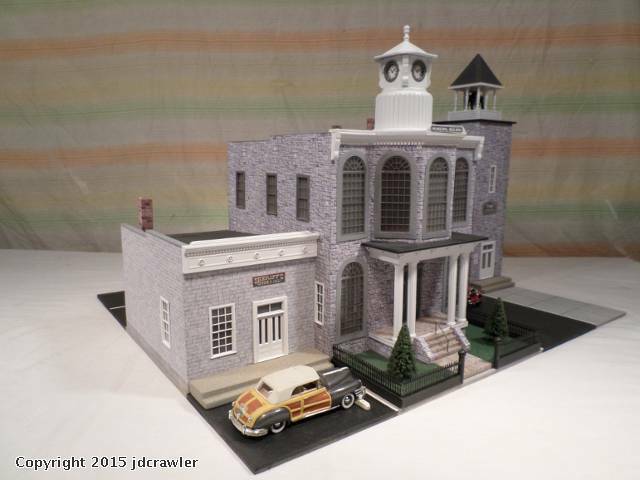 The court house is in the center with the fire department building attached on it's right side. 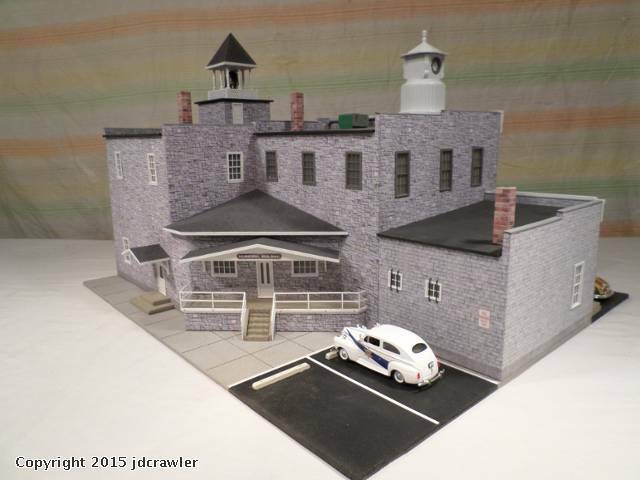 The small two man police department building is attached to the left side of the court house. 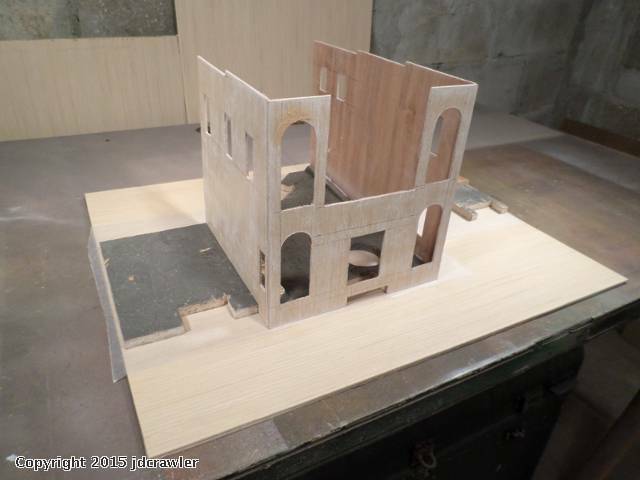 The base for the buildings is cut from a piece of re-cycled plywood. It is fastened to a piece of paneling with wax paper in-between them. The piece of paneling that the base is set on will be the paved parking area in front and behind the buildings. 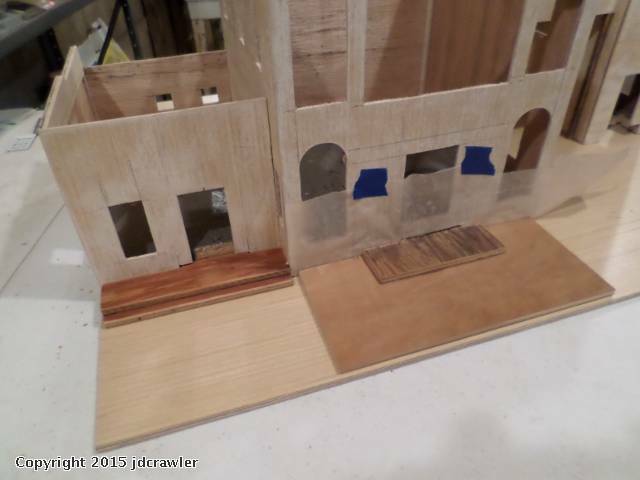 When I glue the side walls on the base, I use wax paper to keep the glue from sticking to the paneling under the base of the building. The fire department building is set back from the front of the court house so the fire trucks can park in front of the building and not be in the road. 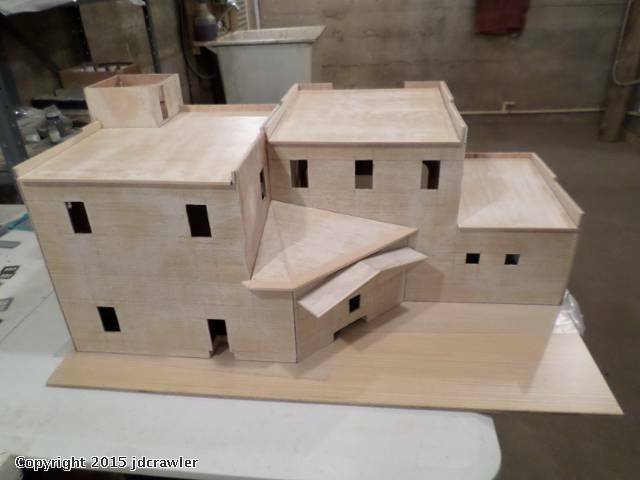 The sheriff's office is added and the roof sections are made. In the center is the back entrance to the municipal building. 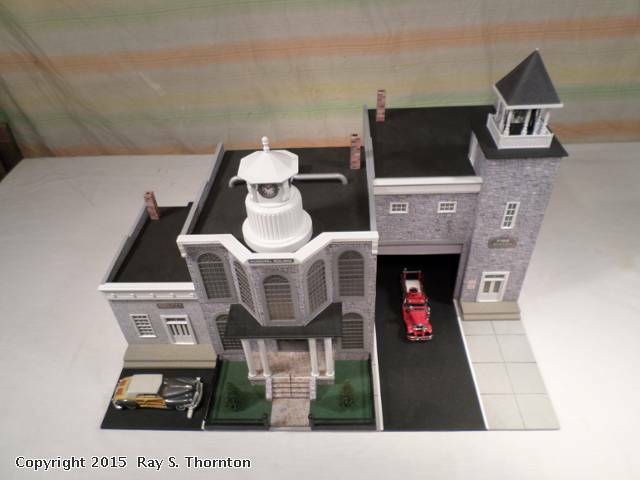 My original design had round holes in the top of the tower on the corner of the fire station. Each of these round holes were going to have a clock in it but I have changed my mind on that. 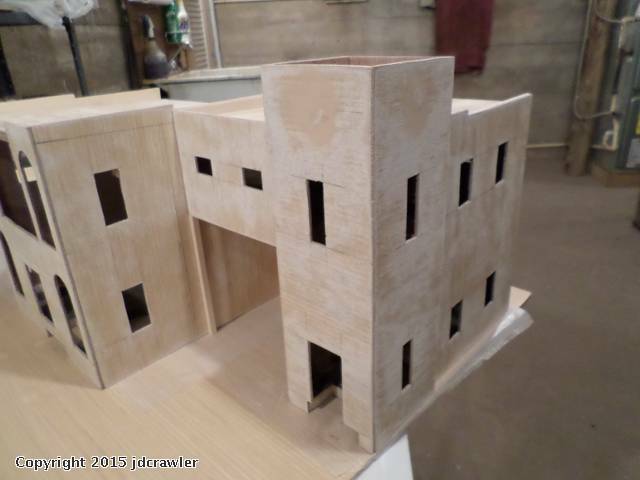 So I have filled in the round holes in the tower and put in one more window opening in the front of the tower. Marie threw out an empty laundry detergent bottle the other day and the cap on the bottle caught my attention. 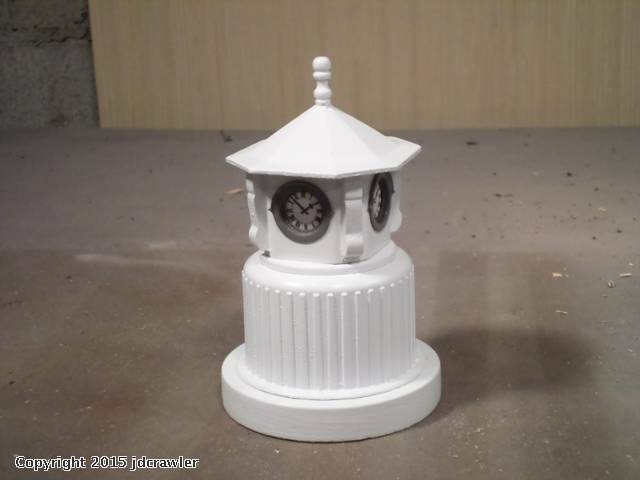 Using the cap as a base, I'm going to make a clock tower to fit on top of the municipal building. 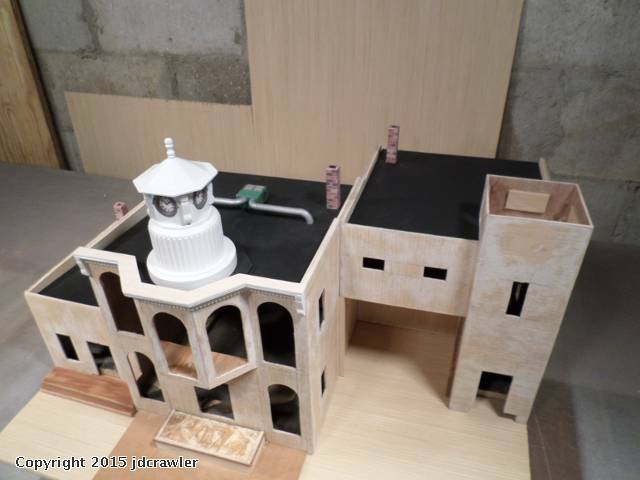 Here are the parts for that tower that I have made up so far. 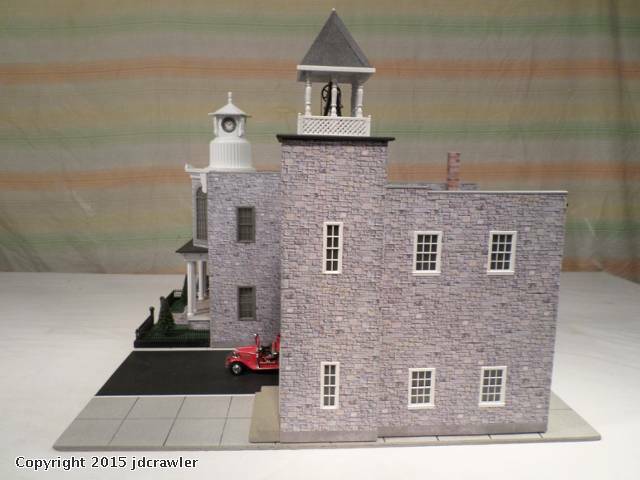 Here is the finished clock tower. 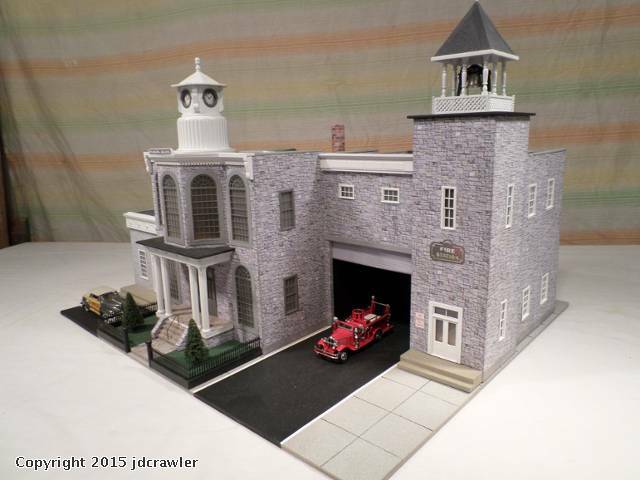 The porch roofs and steps are built for the rear entrance to the municipal building and the fire department. 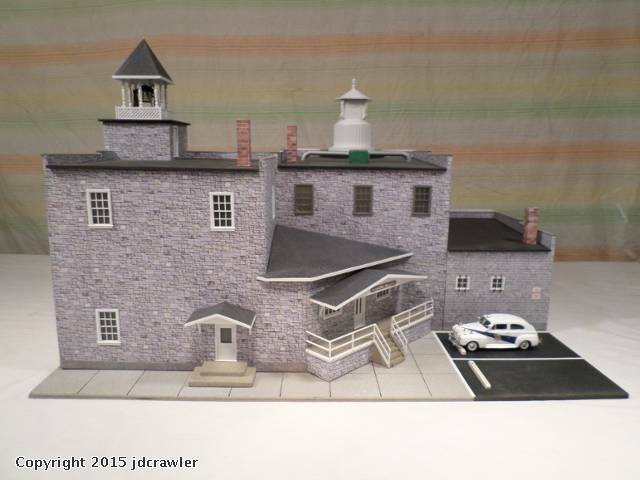 The steps are done for the front of the police department and I've started on the front entrance for the municipal building. 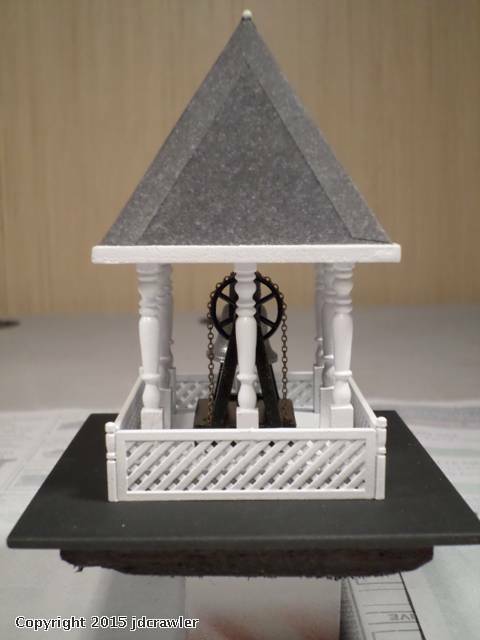 As with the clock tower, the steps, porches and roof sections are all built separately to make everything easier to put the finish on them. 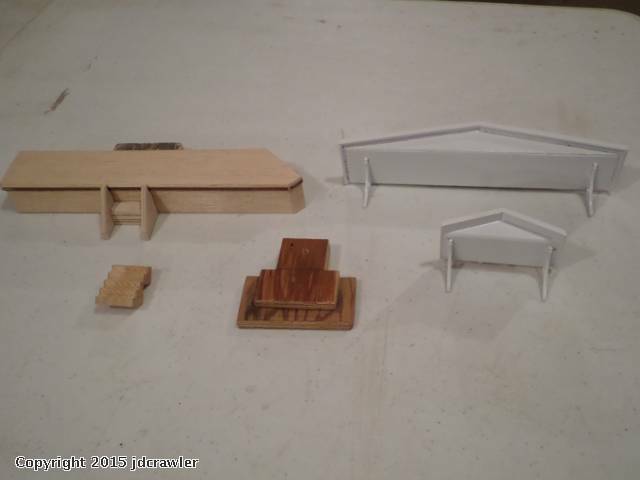 These items will be attached after the outside finish is put on the building. 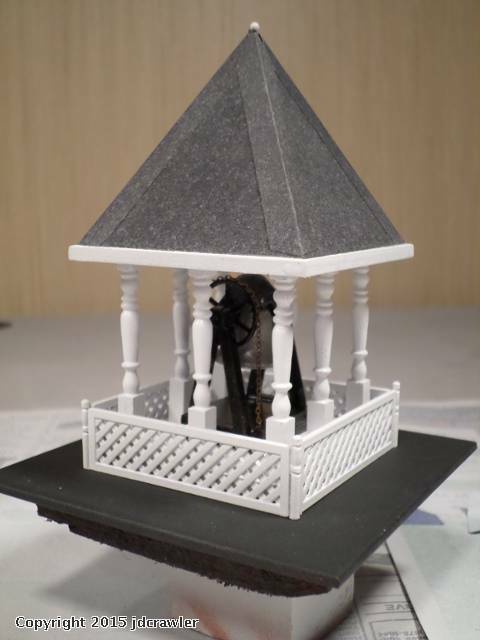 I made up a hexagon platform on the roof of the municipal building. This is the area where the clock tower will be positioned. 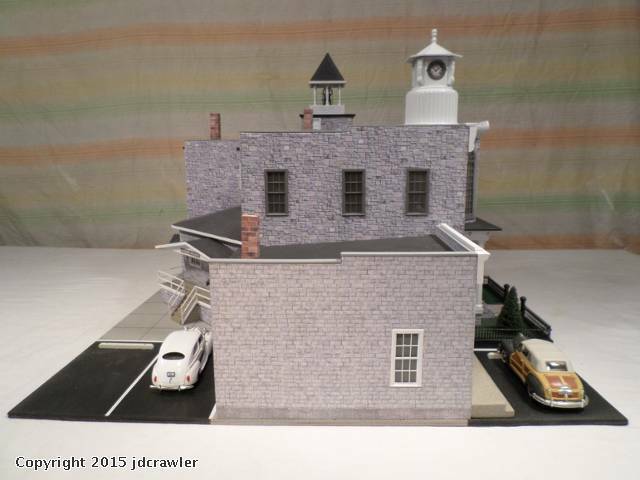 With the hexagon platform in place, the bay window is then fastened to the front of the municipal building. 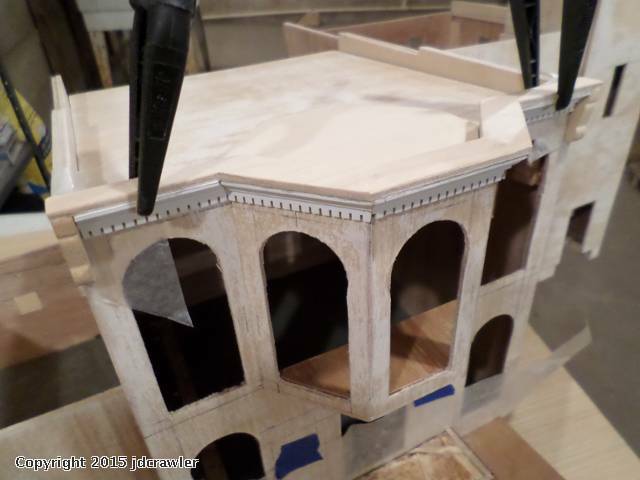 Then I fit pieces of molding to the front wall to form the cornice molding. 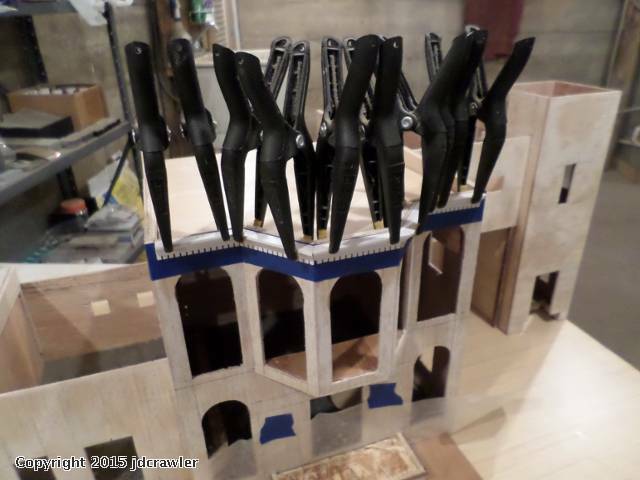 Here the pieces are being held in place while the glue drys. 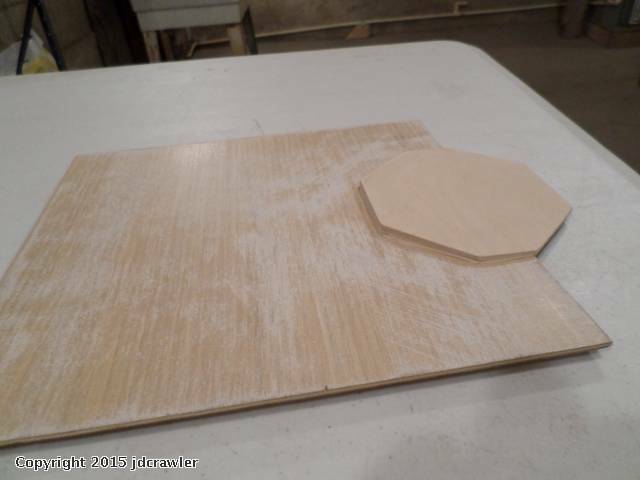 A single piece is cut from thin plywood and glued to the top of the molding pieces. 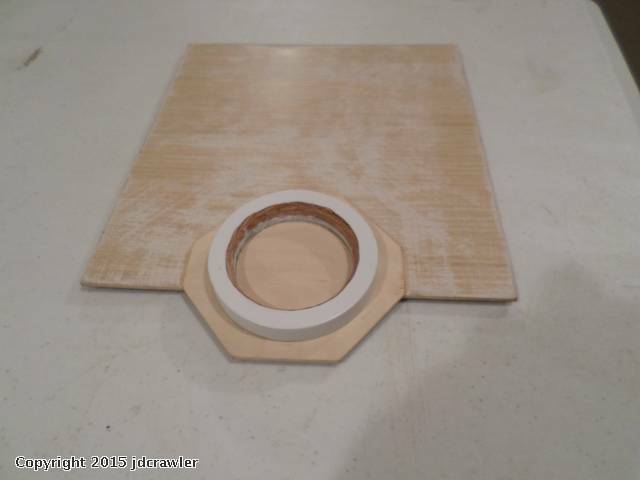 This adds strength so the pieces of molding won't brake apart and is wide enough to cover the top edge of the wood that is used to make the front wall. 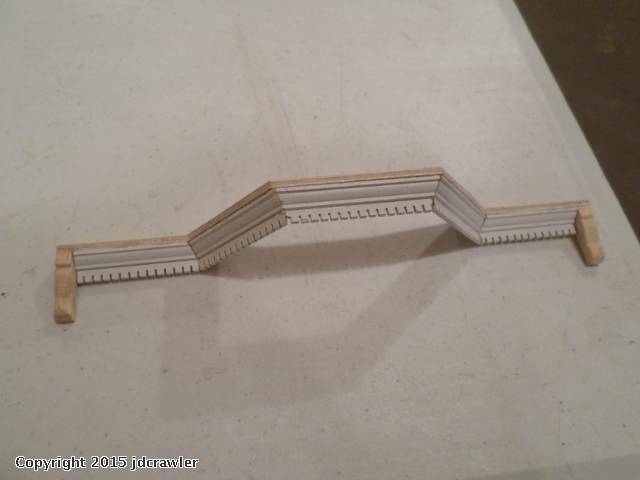 A decorative molding piece is glued to each end of the molding to finish it off. 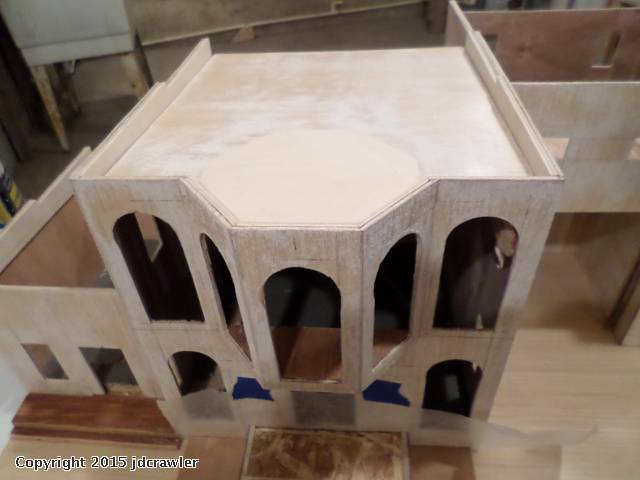 Here is how the finished molding looks. 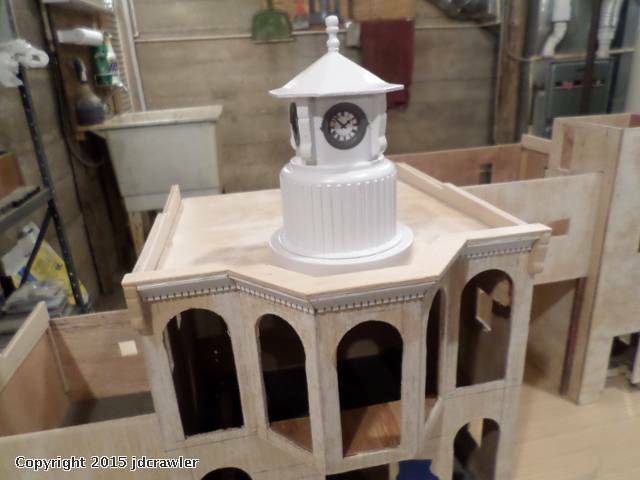 The round base for the clock tower is fastened to the hexagon pad on the roof. 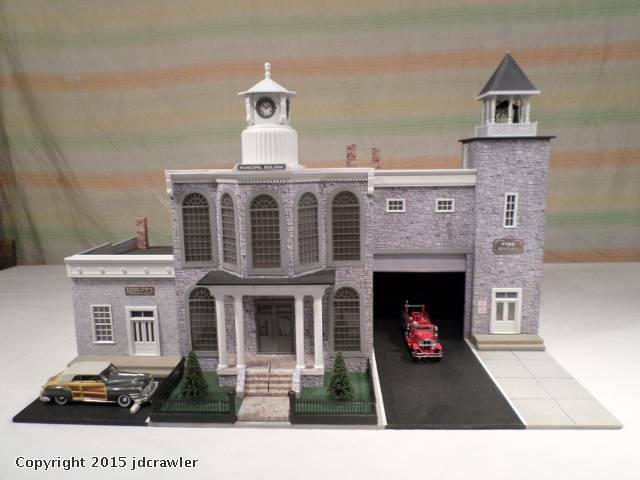 Here is a preview of how the building will look with these items in place. 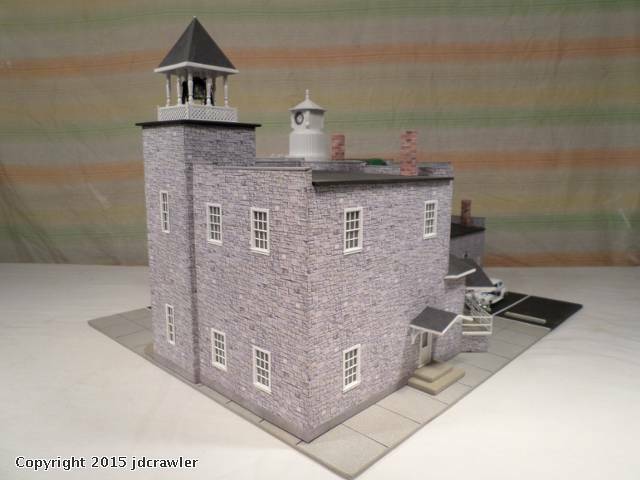 The roof sections are painted and the chimney's, the air conditioning unit and the clock tower are installed. 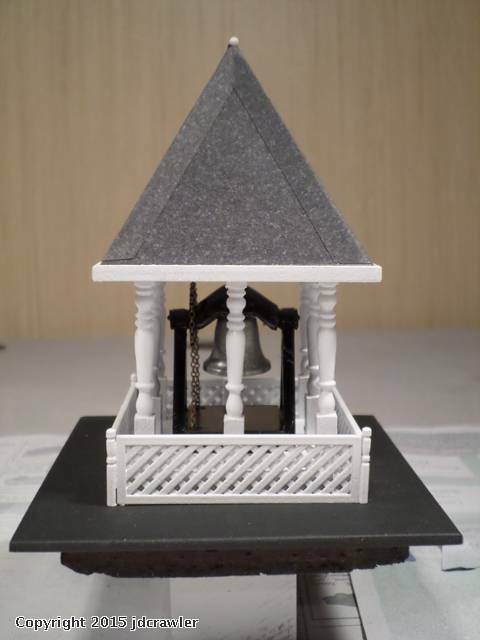 I finished up the bell for the top of the tower on the fire department. 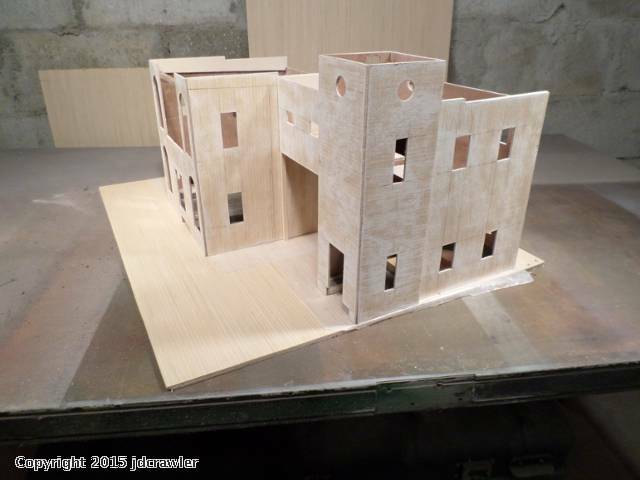 The building complex is completed. 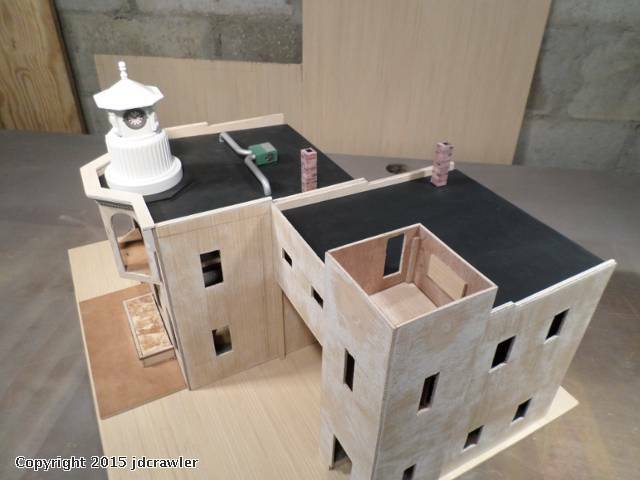 This may be the most complex and grand of the models I've seen you post. And that's saying something! 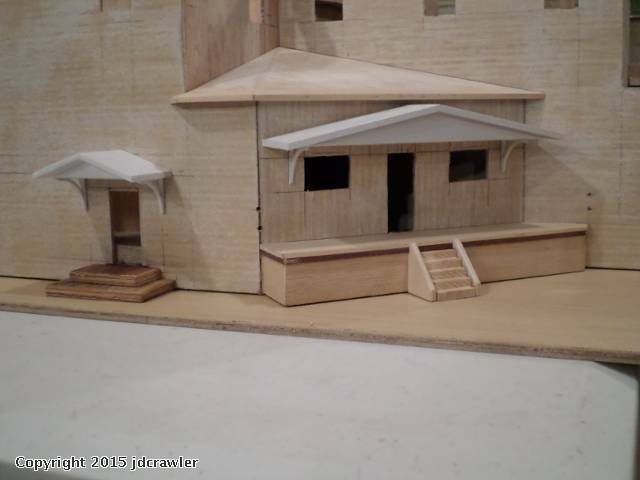 I envy your ability to find common household objects and use them to create parts of these buildings. 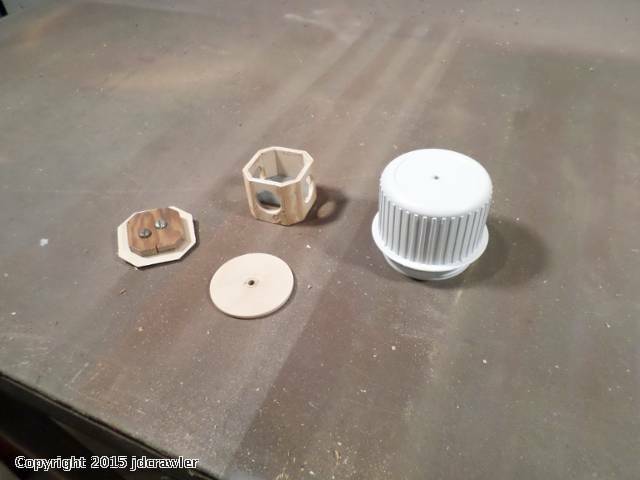 Like the white round cap (is that what it is?) with the raised vertical lines on it. I've done a lot of that in my own hobby efforts, but not to your level. Stunning piece jdcrawler, stunning. And thanks so much for sharing it with us.